Mike and I have been making kids apps as Eggroll Games since November of 2011. But this year, inspired by the success of a certain Flappy game, we both decided to make a quick, simple project. 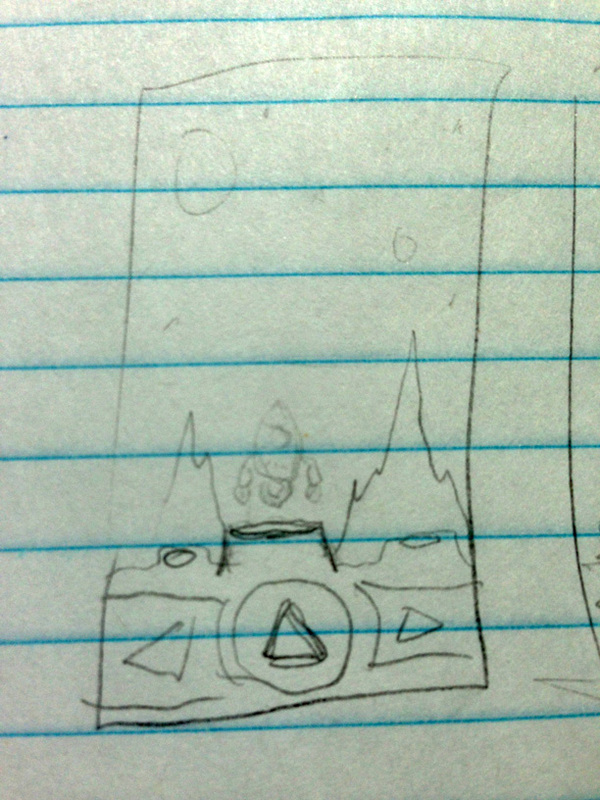 This is the first sketch I drew of the lander game. It shows the control panel (which hasn’t changed much) and a rocket landing on an elevated platform with jagged, outer-space mountains in the background.